ood Rot … two words that the average home owner never wants to hear. The reality is that wood will decay over time and the prime reason for decay is poorly sealed wood that has not been maintained. Moisture gets in, allowing fungi to grow decaying the wood structure. As the wood gets more saturated, the faster it decays. 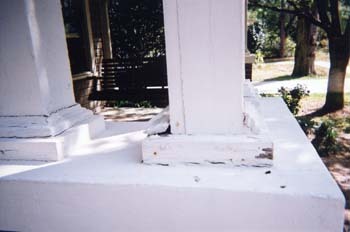 In Atlanta and north Georgia, wood rot often causes more damage to buildings than termites, wood borers and other pests. This silent home destroyer can be found in homes of all price ranges and of any age. Sumpter Construction always begins by finding and stopping the source of moisture damage. After the source of moisture has been removed, wood infected with fungus (rot) can be saved if discovered early. 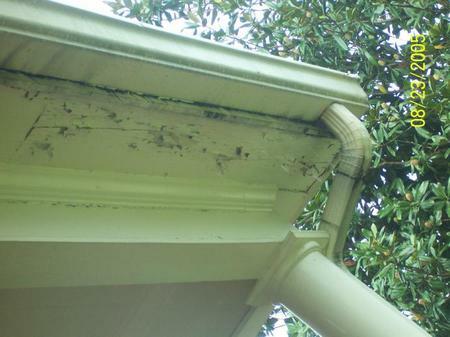 Some damage may require replacing rotted soffit, eave boards or fascia. 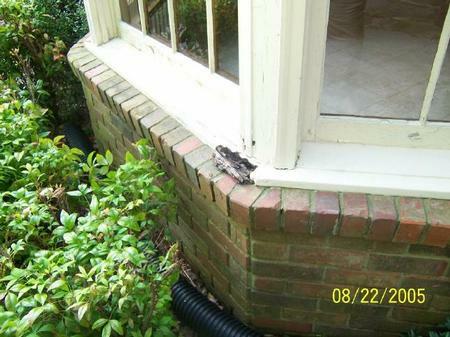 Rotted window and door frames normally require total replacement. If structural damage is found, the floor joists, sub floors, ceiling joists, and rotten studs may need repair. Structural wood replacement requires a depth of expertise that Sumpter Construction has to offer you. A very educational Ohio State University wood rot article.